It wasn’t that long ago, in downtown Salt Lake City, that City Creek Center didn’t exist and Crossroads Plaza and ZCMI Center Mall were THE places to go shopping. Especially around Christmas time! If you grew up in Salt Lake, you surely spent a decent chunk of your childhood roaming these malls, riding the escalators, and basically being a Mall Rat. 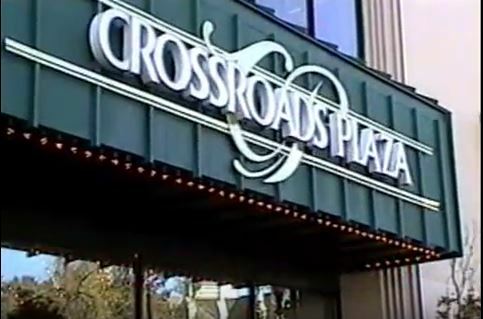 Remember the 3 stories of escalators, the elevators you could see out of, and how Crossroads Plaza was connected to the Marriott hotel? The ZCMI Center mall was near Temple Square in Downtown Salt Lake City. It opened in 1975 and closed in 2007. At the time it opened, it was the largest downtown mall in the entire country. Here is an interesting article about the history of both Crossroads Plaza and ZCMI Center Malls. About the Author: The above article Newly Found Photos of Crossroads Plaza & ZCMI Center Mall in Salt Lake was written and provided by Dustin Brohm, a leader in selling Salt Lake City Real Estate, real estate marketing, smart home technology, and social media. He is also the host & creator of a new sh ow called Salt Lake Insider, found on YouTube and Facebook, and HERE on this blog. You can Contact Dustin Brohm HERE or by phone at 801-980-9977. Dustin has helped many people buy and sell Salt Lake City area homes for years.